Pambry Electronics represents the cream of the Acoustics Industry including Amphenol Nexus, Accusonic Voice Systems, Cooper Interconnect, Astrocom Electronics and Gavitt Wire in supplying connectors, cables, switches, microphone and acoustic products. 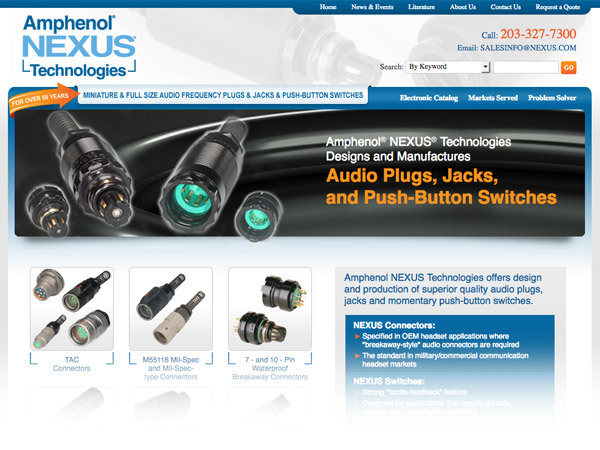 For over 45 years Amphenol Nexus Technologies has been designing and manufacturing superior quality connectors and switches and are recognised as world leaders in their field. ISO9001/2000 Certified products include MIL8805/3 and miniature AP/AJ107 connector ranges. Pambry are the International distributor for NEXUS. Decades of experience together has opened up their range of high quality MIL standard robust ranges of connectors, push buttons, and telephone plugs to the International markets. Cooper Interconnect combines the superior products and services of Crouse-Hinds Moulded Products, G&H Technology, and WPI Interconnect Products to offer a full portfolio of connector and cable assembly solutions. With globally integrated manufacturing facilities, Cooper Interconnect provides solutions from concept design, prototyping, to the finished product. Cooper Interconnect's product line includes MIL STD connectors such as the 26482 and 55116 to name but a few. Pambry are the European distributor for cooper interconnect audio connectors. 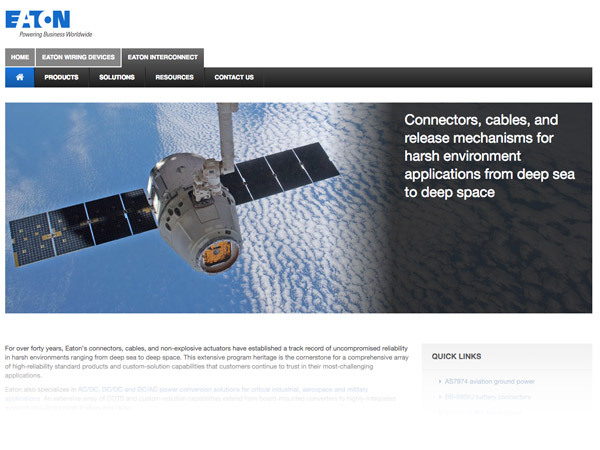 Cooper interconnect are specialists in that extend from the depths of the Marianas Trench to the reaches of deep space. 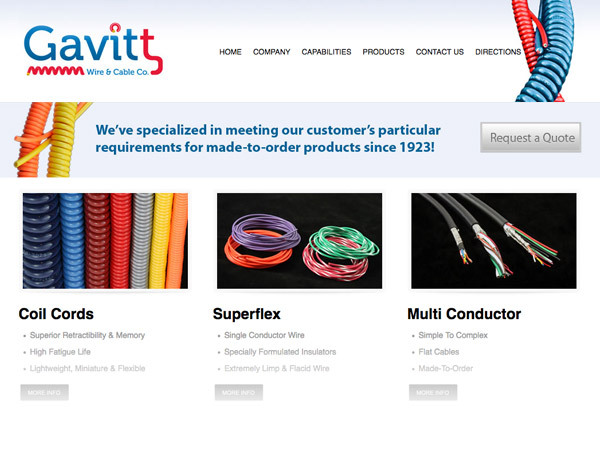 Gavitt Wire & Cable Company was established in 1928, this family owned company supplies superior Audio and Data cable including coiled cords. Gavitt wire have an impressive track record meeting customers particular requirements (small quantities a focus) for made-to-order product such as: High-Reliability (extreme service and/or extended flex-life) Wire, Cable, Retractile Cords, Ribbon Cable, Assemblies and Specialties serving such diverse markets as: Medical Equipment, Avionics, Fire Protective Services, High-End Audio, Control and Instrumentation, Marine, Consumer, and Entertainment industries. The principal cable supplier to Pambry Electronics. Astrocom was founded on the concept of specialised electronic design and manufacturing using the newest techniques and ideas in producing communications equipment. That concept continues today and enables Astrocom to provide such equipment to space programs, the military, municipal police departments, and industry in a worldwide market. 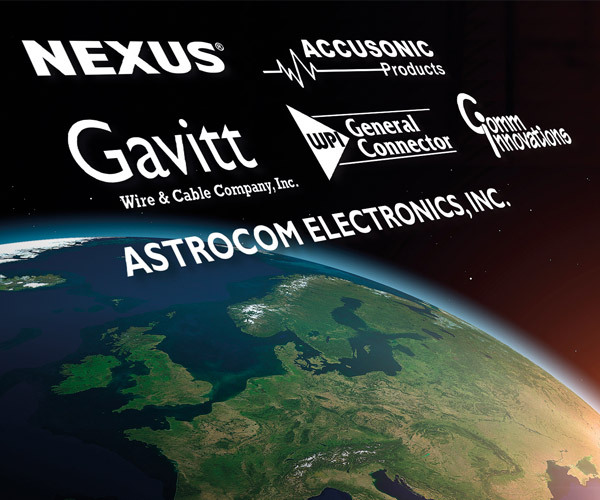 Astrocom Electronics manufactures: headsets, cables, microphones, boom assemblies connectors, switches and accessories. A partnership stretching over several years to provide cable assemblies and connectors to space programmes, the military and municipal departments. The partnership has provided distribution services for a unique range of connectors for use in aviation services, each to MIL standards. Also in collaboration we have fulfilled customers needs with Astracom's unique multi branch cable assemblies designed for specific applications in the aviation industry. An ISO 9000:2008 certified company. To satisfy our customers' requirements with continuously improved products and services to ensure their success. 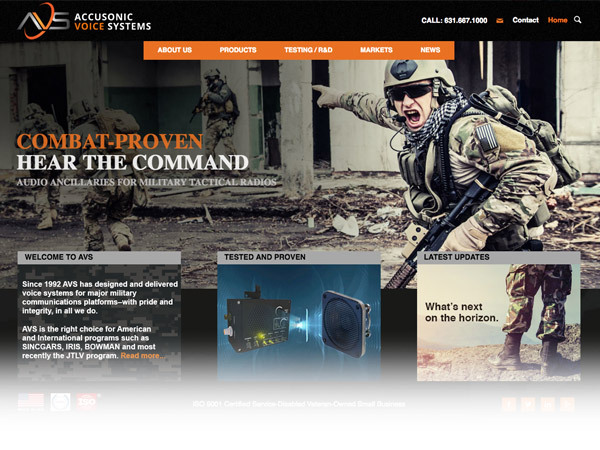 Accusonic Voice Systems manufactures a wide selection of voice signalling and audio equipment for combat vehicles, tanks and ships. Included is a selection of loudspeakers, transducers and intercom systems based on time tested, rugged designs that can sustain punishing battle space conditions. 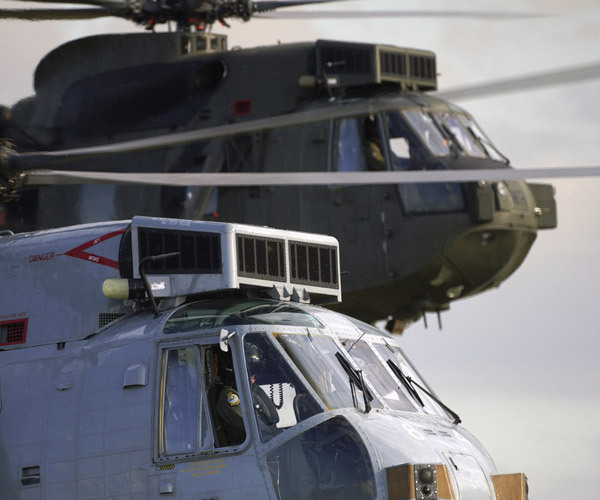 Units are suited to the climate in which the war fighter operates, in support of long term deployments. The AVS line has enjoyed an impressive record of performance over the years in support of broad military applications and related law enforcement requirements. A world leader in the development and delivery of dynamic moving-coil tactical loudspeaker transducers and encased, amplified loudspeaker systems. 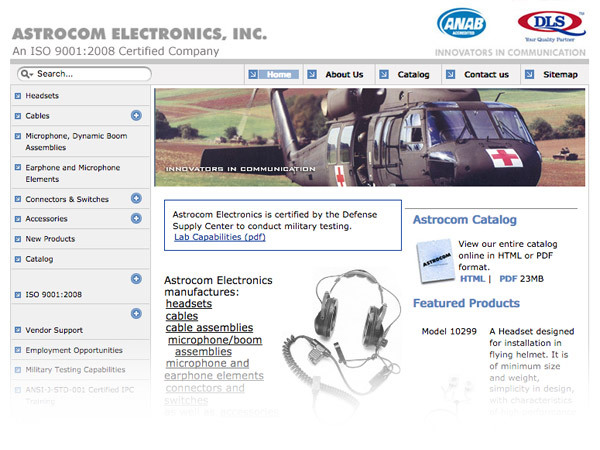 The AVS product line is the prime choice of the world's leading tactical-radio manufacturers. Established in 1990, communications equipment for the future warfighter had become important where size is shrinking and complexity is growing. Products provide engineered solutions through designs that are powerful, integrated, intuitive, proven-reliable and cost-effective. For over a decade Comm Innovations have supplied an extensive range of aviation communication products to a broad customer base. Military, law enforcement, border patrol, fire fighting and emergency medical operations trust the quality and performance of these products in the most critical situations and environments. Products include Audio coiled cord PTT switch boxes, helmet impedance adaptors, radio interfaces & connectors and adaptors. Pambry offer a full repair service for Comm Innovations products. More than a decade in partnership supplying rugged and reliable audio components Internationally. Comm Innovations is committed to supplying our customers with rugged and reliable products that serve their requirements. 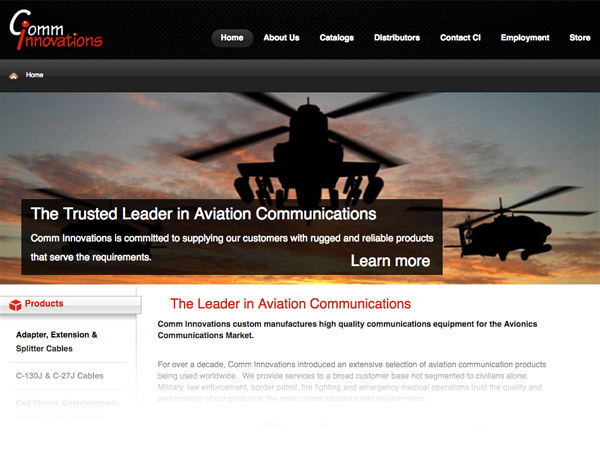 Comm Innovations was incorporated in November 1994 with objective is to provide customised communication equipment and solutions to our customers in the aviation market. All of the products are assembled and tested on-site, with outsourced sub- assemblies and components selected from potential vendors for quality, economy and customer service. 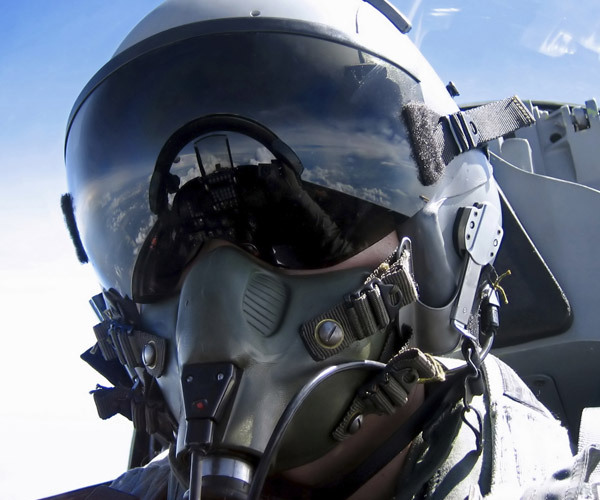 All parts, materials and procedures used by Comm Innovations are in accordance with military and FAS specifications and standards wherever possible, such as, amplifiers (MIL-STD-129 and MIL-STD-130), and inspection (ISO 9000 Compliant).